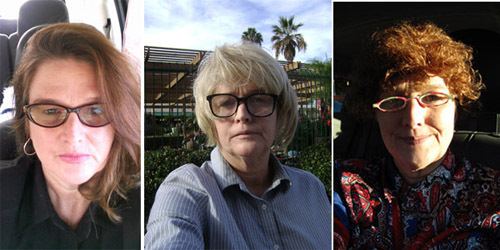 Katherine Underwood wore many disguises to follow the man who owes her $1.6 million. Twenty years ago, Katherine Underwood, of Myrtle Beach, South Carolina, started dating Budimir Drakulic, who claimed he was a professor at UCLA. Eight months later, he asked her for money and kept asking until he took everything she had. Underwood sued and won a judgment. Because she couldn’t afford a private investigator, she put on disguises and followed Drakulic herself. Donna Andersen just wrote the story for MailOnline.com. Wow, it is amazing how this slimeball found every loophole to get out of repaying this poor lady. I wonder how many other women he’s scammed? Thanks, Donna, for making people aware of this con artist. I hope Katherine somehow gets her money back, but even if she doesn’t, maybe her story will prevent other ladies from being victimized by this creep. Wendy – Yes, Budimir Drakulic stalled and dodged and hid his money. He is still doing it. His name is appropriate. He is a real blood-sucker.